After taking an experimental approach to the artwork for Cicada the Burrower’s The Oasis last year, when they tasked me with providing them with art for their upcoming split EP with Mountains of Light, I knew I wanted to push the experimental direction even further. 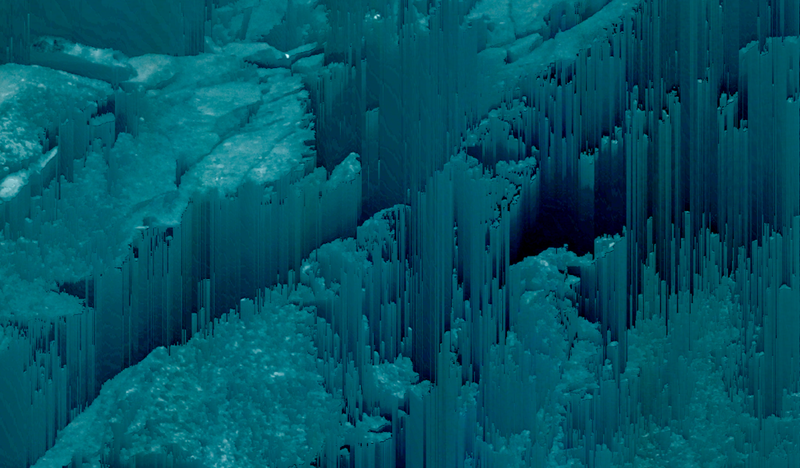 I decided to incorporate some elements from the world of glitch art – specifically pixel sorting using Processing. While I’ve done glitching and pixel sorting on my own for a while, this is the first time I’ve used it for a client and I’m very excited with how it’s turned out so far.